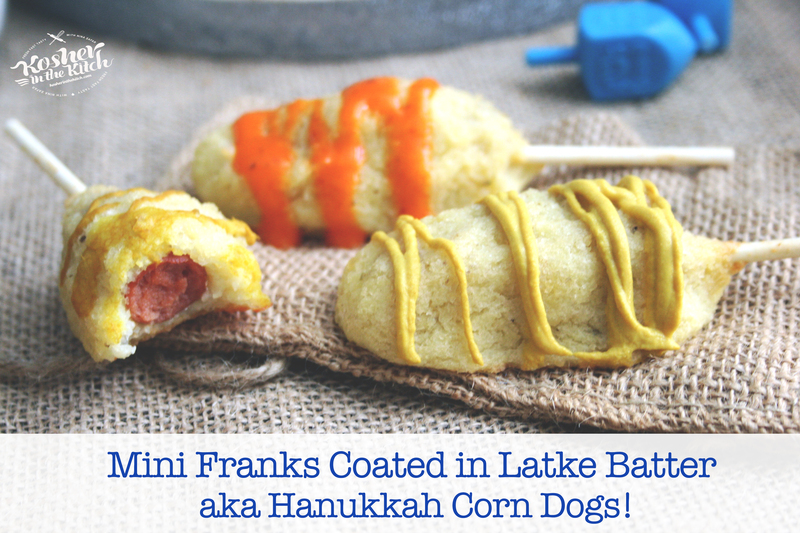 Hanukkah "Corn Dogs" Latkes - Kosher In The Kitch! 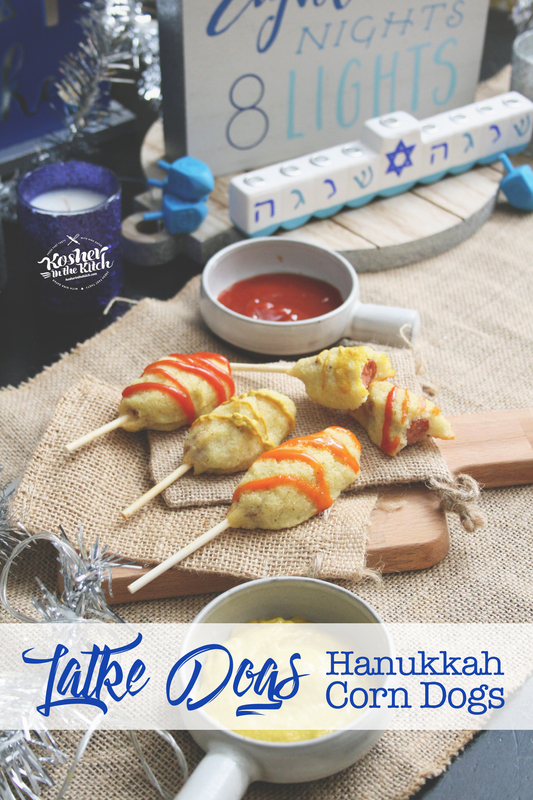 Hanukkah "Corn Dogs" Latkes - Kosher In The Kitch! Hanukkah is THIS week and I am ready to flip some next level latkes. 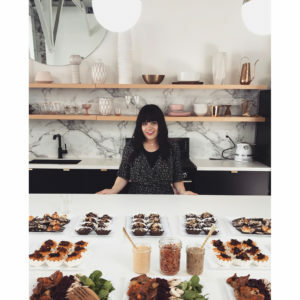 Each year I enjoy creating fun new ways to cook and EAT latkes and this year I am excited to share these LATKE DOGS with you! 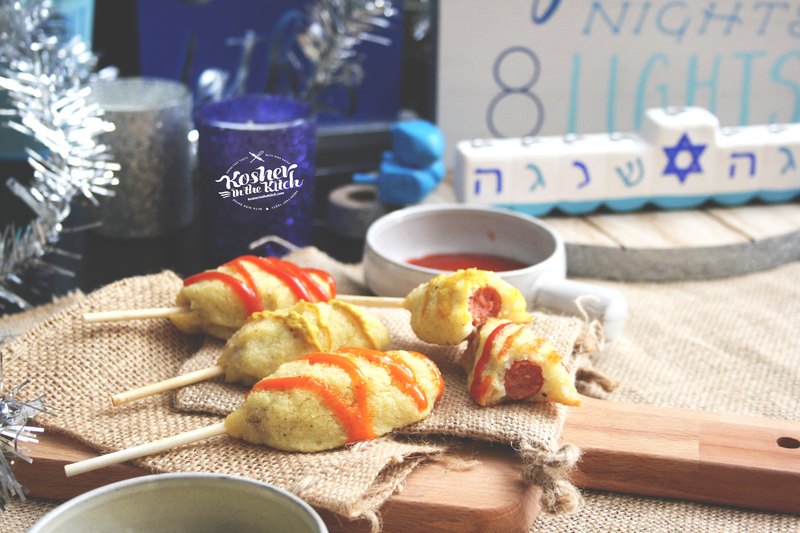 No party plate is complete without mini frankfurters and this is the tastiest way to serve them on Hanukkah. Cocktail frankfurters coated in latke batter then cooked till golden and delicious. Add your favorite toppings, like ketchup, mustard or spicy mayo and call it a party. Prepare pancake mix according to instructions on package. Allow batter to thicken in the fridge for 10 minutes. Place sticks in hot dogs. Scoop out about 1 to 2 tablespoons batter then wrap around hot dog by pressing the batter in center of your hand with hot dod on top and roll the batter around. Bake on 350′ for about 20 to 25 minutes until pancake batter is golden and slightly crispy. 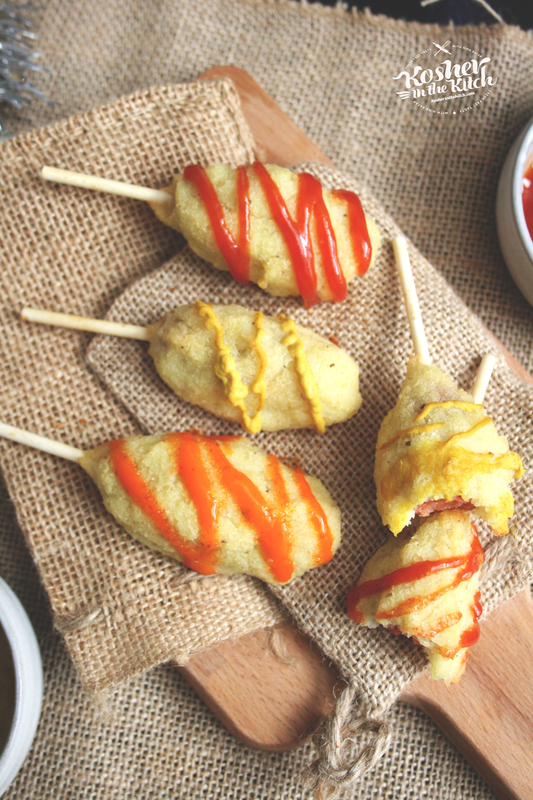 Serve with ketchup, spicy mayo and mustard drizzled on top.